Vibrato is one of those 'hard to grasp but oh so important' parts of guitar playing. Just think where Yngwie Malmsteen, BB King or Stevie Ray Vaughan would be without their unique vibrato. It's what makes us reckognize a guitarist after 2 notes - vibrato is what makes playing come alive. And from a subtle warble to Leslie sounds, Shaker Vibrato does what it can to liven things up! Shaker Vibrato features 2 different types of settings: a classic true pitch vibrato and 'latch mode' where the effect is only active when you press and hold the switch. 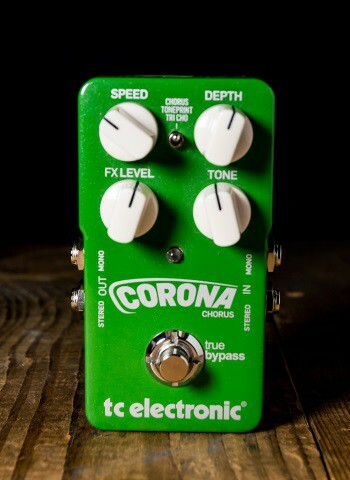 This allows for subtle vibrato and faux-whammy bar effects without you having to tap dance all night. Vibrato is an effect with a wide range of applications, but it can be tough to figure out which those are if you don't get a range of sounds, voicings and expressions that knock you off your feet - and with Shaker Vibrato those surprises are always musical, never unpleasant. Featuring a set of controls and giving you control over the 'rise-time' of the effect, Shaker Vibrato vibes with your playing instantly. 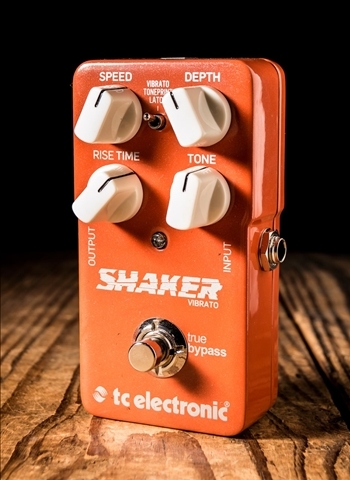 Shaker Vibrato allows you to decide whether you want to sue it as an 'on/off' effect or as a more subtle effect where it is active when you press down and cuts out as soon as you release. Both have a wide range of applications, so we advise you experiment with both.